Comments: Armed and ready for battle, Commander Cody orders his forces to mark their posts and maintain their positions at all costs. They're in for a real firefight with the Sepratist droid armies who are protecting General Grievous on Utapau. Although his current mission is to protect Obi-Wan Kenobi, this commander and his troops will later change allegiances. Clone Commander Cody is an all-new figure. 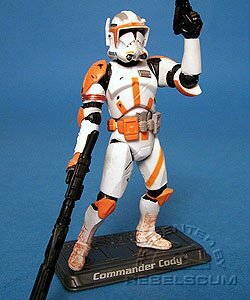 The display stand labels his simply as "Commander Cody." 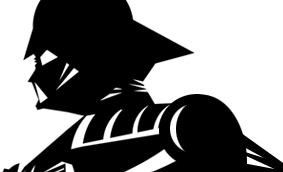 Cody's designation is Unit 2224. He commanded the 212th Attack Battalion under General Kenobi throughout the Clone Wars.